When you run your own business, you have to wear a lot of different hats. That means some days you’re doing design work for your clients, some days you’re focused on just managing your clients, and other days you have to market your design business. There’s such a huge market of designers, which means marketing your business well is even more important than it used to be. 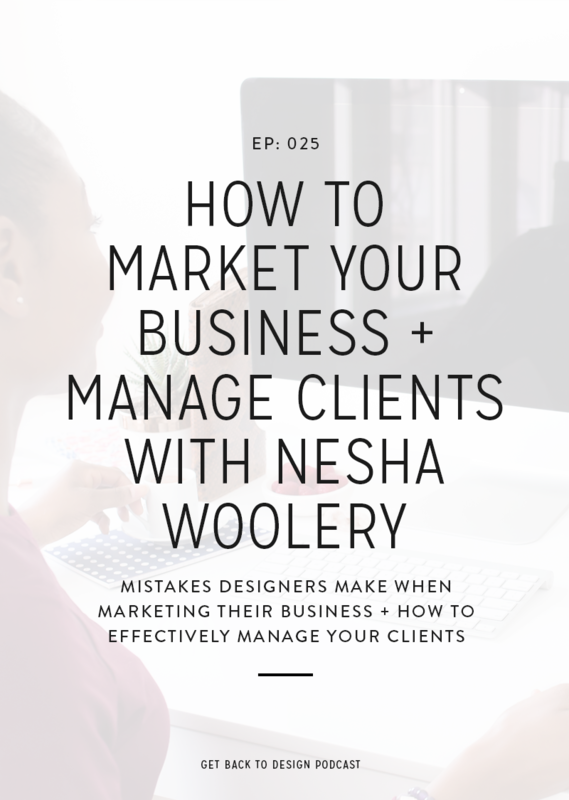 We know that a lot of designers get stuck trying to figure out the best way to market their business, so today, we’re talking to Nesha Woolery about how to market your business and then manage all of the new clients you book. For a long time, Nesha relied solely on referrals from other designers and past clients, but at one point she went traveling and came back only to start freaking out that she had absolutely no work lined up for herself. She was so worried about how she’d pay her bills and be able to go traveling again since she had nothing scheduled. At that point she started working on figuring out how to market her business so she didn’t have to rely on just referrals that way she could avoid putting all of her eggs in one basket and being in the same situation again in the future. She started by analyzing where her previous clients had been coming from, which as it turned out was through referrals and social media. While she believes that most designers get stuck with the one thing that works for them (referrals for Nesha), she instead decided to put her focus on referrals, Facebook, and Twitter to help her start getting booked out. Nesha recommends finding a Facebook group that’s filled with potential clients and then dedicating 30 minutes a day to networking and helping people. She says you should focus on providing value and becoming the go-to person because that’ll encourage people to go straight to you when they need design services. One of the big mistakes designers make is relying on referrals for the only way you get clients. This is a big one because Nesha points out that when you do this you’re not in control of your revenue or your business. She said it’s a dangerous place to put your business because even though they’re a great way to get clients, they may start drying up. You’re much better off trying a few different things so you still have other ways of finding clients. The other mistake she sees designers making is just being scared of marketing, in general. She says she thinks a lot of designers see marketing as boring or daunting and often times don’t know where to start because of all of the sleazy marketing we’ve all experienced. However, Nesha points out that it can be a lot of fun if you find the right ways that work for you. With the design market so crowded, she thinks that choosing a niche for your business you will stand out so much more when people are looking for a designer. She had a great example of a collaborator she recently worked with found a designer with a super unique process that no one else had, which made the collaborator want to hire the designer right away regardless of price. So Nesha says if you can find a niche with the services you provide, your process, or who you serve, then you’ll stand a much higher chance of getting hired. Nesha says she hears this problem from a lot of designers, but the first thing she thinks people should do would just believe in your higher prices and that there are clients out there who will pay your prices. She sees a lot of designer self sabotaging and not being confident in their higher prices, and that tends to make them talking their price down for a client on consult calls. When designers act this way with their clients, their client sees it as the designer offering to take less money for the same or similar amount of work. She also pointed out something that we all often forget: there are clients out there for every price point of design. There will be people out there who will pay you more, so if you think it’s the right time to raise your prices then definitely do so. Another thing she said you can do is to create a killer client experience. Remember, clients are paying you not just for your designers but for a great client experience. If a client has come through working with you and the experience was all over the place, they’re not going to refer you to other clients with higher price points. So Nesha said start by working on your money mindset but also take a look at your client experience and make sure it’s really awesome. Use a project management system. Nesha says stop managing clients through your emails. 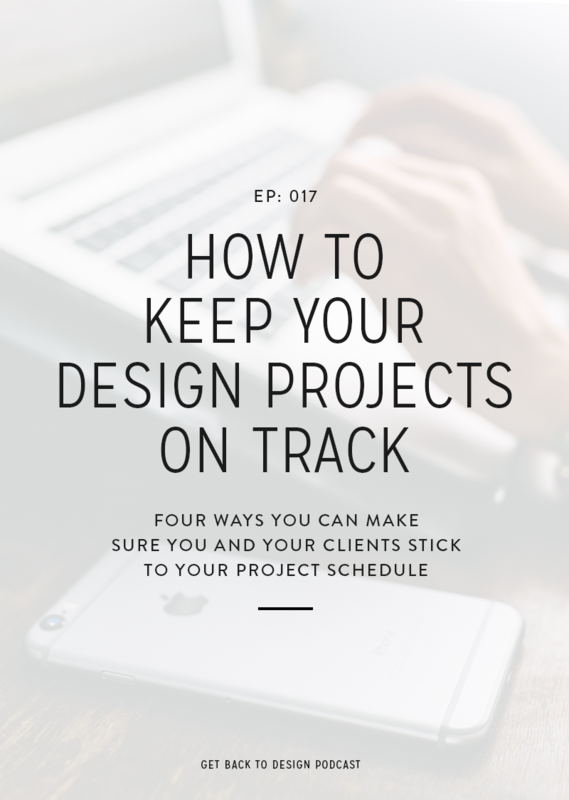 She said you usually find yourself sending too many emails, stressing because you can’t find feedback, clients can’t find certain files, and you can cut all of that out if you keep all of your project inside of a project management tool. She said it saves your sanity because it allows you to handle more than just 1-2 clients per month. 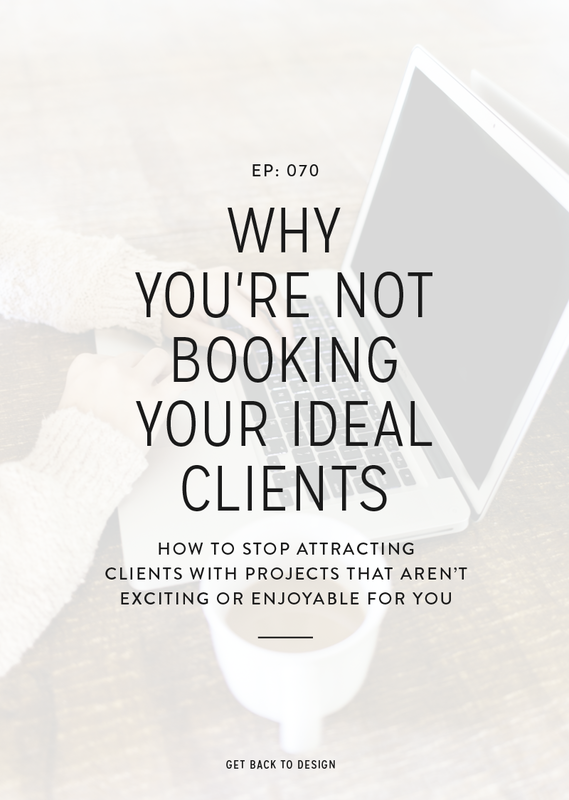 As for when you start booking lots of clients, Nesha highly recommends investing in growing your team or even just hiring a virtual assistant. She sees a lot of designers keep running their business on their own even when they’re growing their business and getting overwhelmed by all of the work. So when your business starts picking up, consider getting a virtual assistant for even just 5 hours or just to manage your inbox or project management. 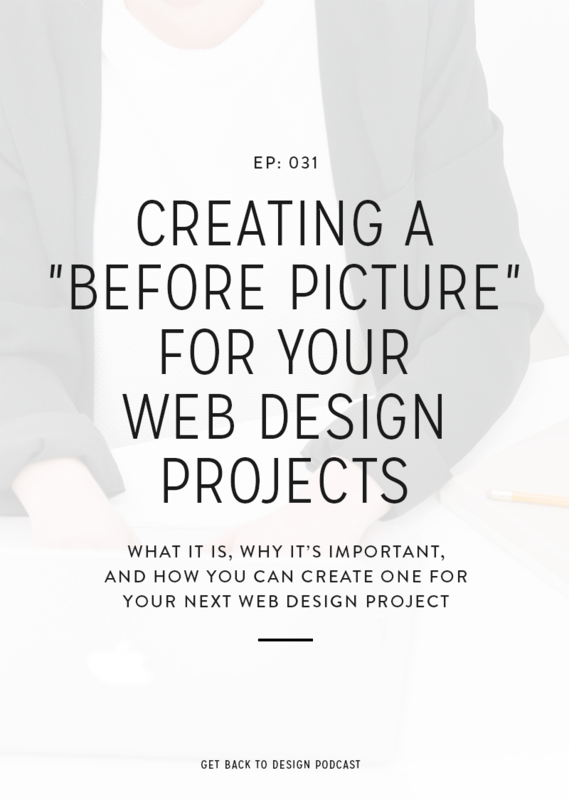 The biggest issue she sees a lot of designers have is all about how clients won’t want to use a project management tool, but what she says is that it’s so worth it to use a project management tool and you’ll never want to go back to email. She also points out that she’s never had a client refuse to use Asana, her chosen project management tool, for their project. She recommends explaining how the tool will help the client get the best experience from you and also how to actually use it. Nesha teaches business strategy to freelance designers so they can build businesses that aren’t just creative, but profitable. Being a successful designer doesn’t just come down to having great skills and a beautiful portfolio. You also need business smarts. That’s where she comes in! 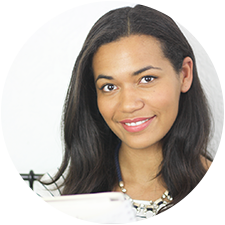 Nesha has now taught hundreds of designers how to start, grow and streamline their businesses.